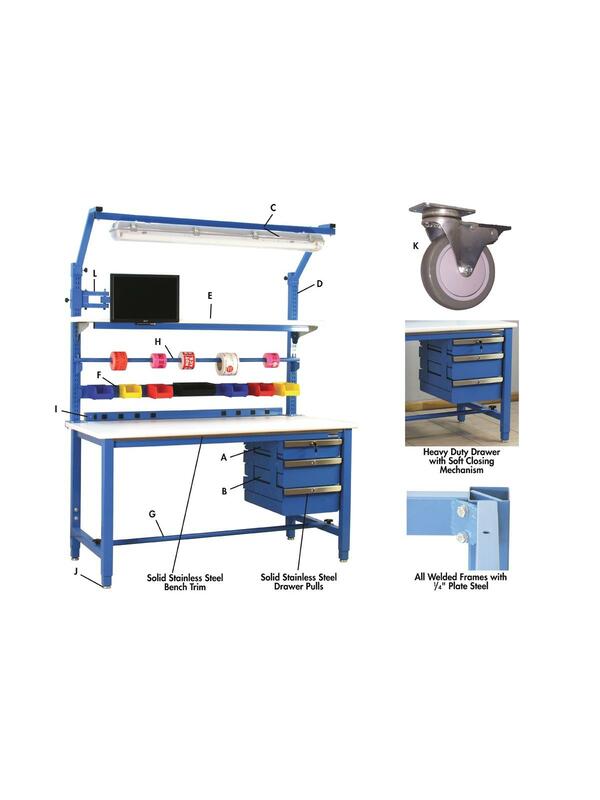 These professional workbenches have been tested to easily hold over 6,600 lbs. The 2” square tubular legs have ¼” thick steel plates welded into their center for maximum strength (see photo). Pick any work surface height from 30” to 36”, or order a custom height – call for more information. Pick any Genuine Formica™ laminated top color available in Frosty White, Black, Desert Beige, Gray or Oak at no additional charge. FOB Shipping Point. See the Related Items tab below for 5,000 Lb. 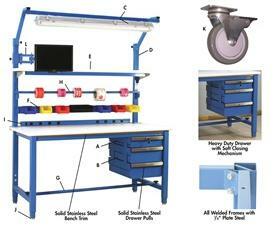 Capacity Kennedy Series Workbenches - with Butcher Block Top, 5,000 Lb. 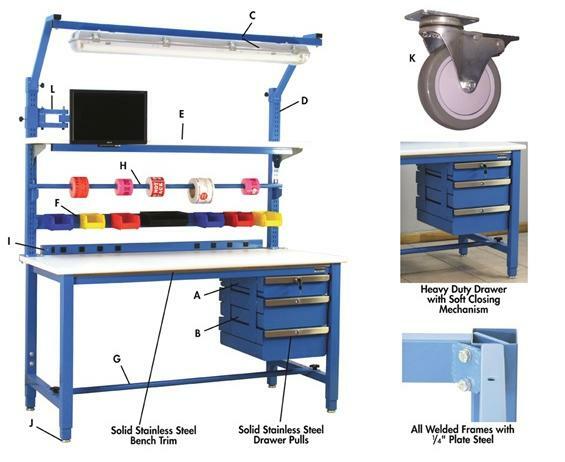 Capacity Kennedy Series Workbenches - with Stainless Steel Top and 5,000 Lb. Capacity Kennedy Series Workbenches - with Heavy Lisstat™ ESD Top.